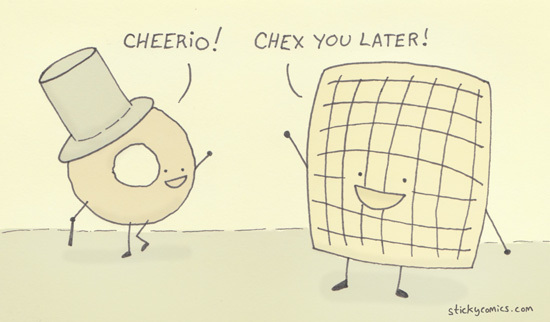 I love Cheerios more than many things. Unsurprisingly, this is not my first comic about cereal. Get prints on my GoComics page! Anthropomorphic cereal that makes brand-based puns is still vegan friendly!